Aamras is the simplest and most yummiest desserts to make at home. 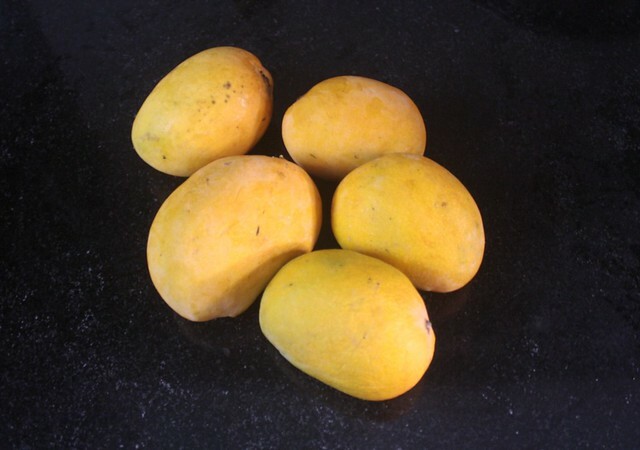 You just require good quality ripe Alphonso Mangoes. You can make aamras from any other genre of mango but common who are we kidding here!? Once you savour the aamras made from alphonso mangoes there is just no turning back. 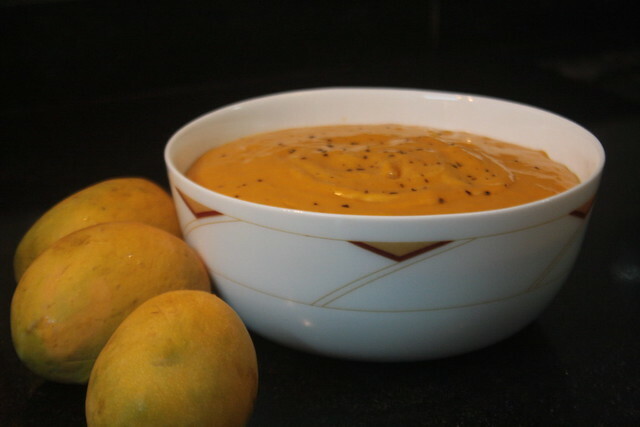 Having said that lately aamras is commercialised on a massive scale thus you have variations in the taste of aamras which may or may not be delectable. So let's make some at home. Making aamras is easy-peasy. Squeeze out the mangoes, Strain the pulp and Swirl in the blender with some few tablespoons castor sugar and full-fat cream . Ya baby, once in a year no harm at all. 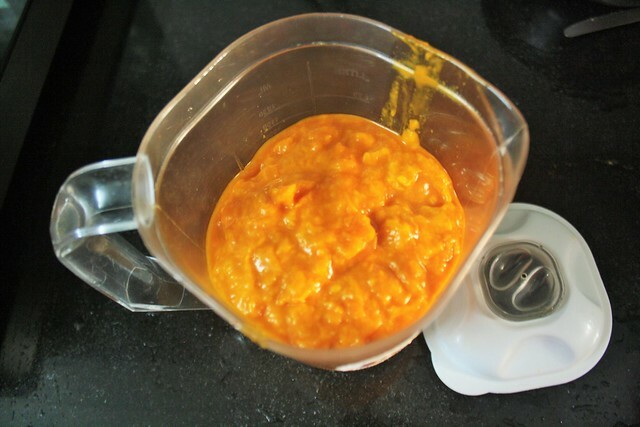 Cream retain teh mango-ie color and doesn't dilute the mango pulp as it would if we add milk. Garnish with some crushed black-pepper. Yes, you read it right, black-pepper actually cuts through the mangoes' sweetness and sourness revealing you the natural taste of mangoes. and black-pepper also reduces the effect mangoes would have on your tummy just incase if you can't control gulping down the aamras. That mean less trips to the loo. 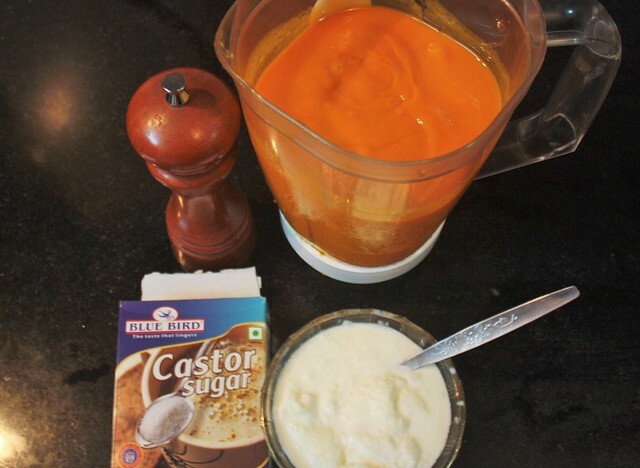 Castor sugar - 3-4 tablespoon depending the tanginess on the mangoes. De-seed the mangoes and squeeze out the pulp. Strain the pulp through a sieve to get all the fibers out. In a blender add the pulp and swirl for a minute. Then add the cream and castor sugar. Swirl. Serve chilled with some crushed black pepper. Soak the mangoes in cold water for half hour before pulping them out. Why? To avoid those pimples gals. Do not add water to mango pulp it just spoils the fun. If you can't tolerate the idea of black-pepper in your aamras then go for other traditional spices such as cardamom or nutmeg. Let us know your feedback on Facebook & Twitter. Yes an absolute must every summer.... Thanks for reading..